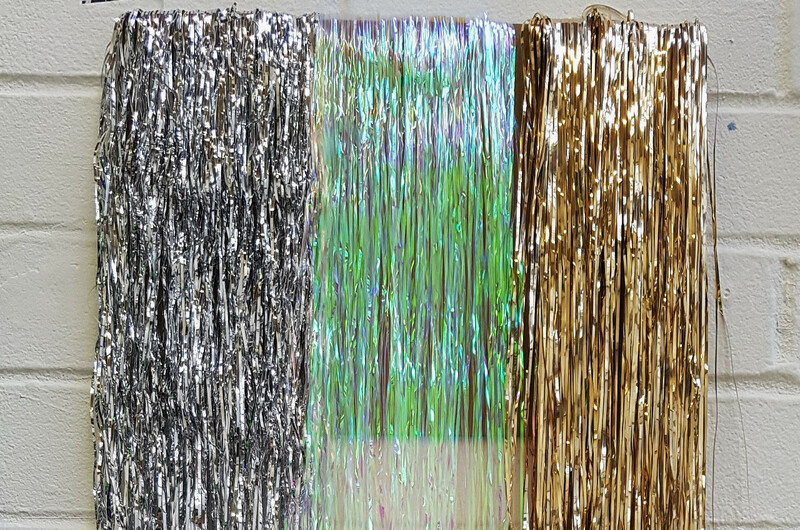 My work has certainly taken a direction I didn’t expect it to, becoming more and more concerned with reflective materials, such as glitter, foils and iridescent tinsels and fabrics. I now like to work across a variety of media painting, photography, sculpture, collage and most recently, installation. I want to achieve a show that I can look at and be proud of that represents my time at Newcastle University. I think a degree show is important in giving other people a glimpse of what is to come and the elements of your practice you are most interested in taking forward. The most important part however, is that I want to have fun with it and produce something exciting for others. My plans after graduation are to continue my artistic practice alongside my gallery assistant job. I am hoping the two will feed into each other with as much ease as they have whilst I’ve been a student. 1. Michaela Hall, Untitled wall sculpture, 49x30cm, tinsel and cardboard. 2. 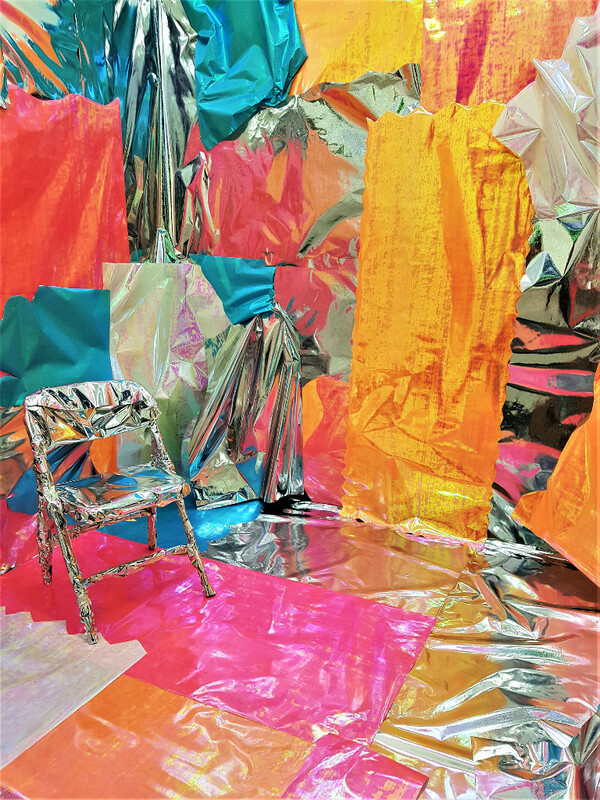 Michaela Hall, Wrap (installation shot), 2018. 3. 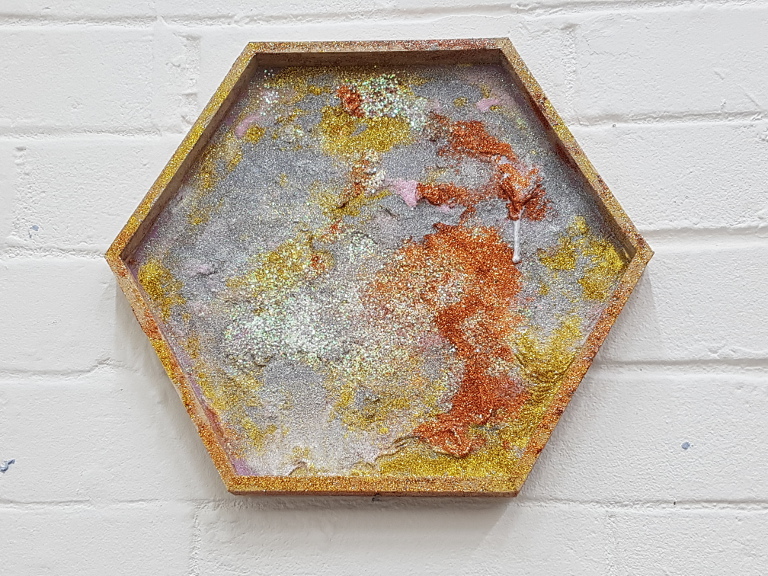 Michaela Hall, Glitter Hex painting, 16x30x30cm, glitter and glue on wood.